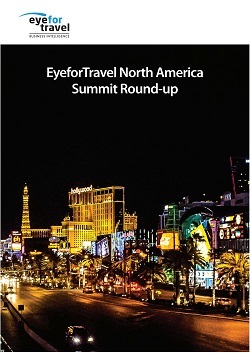 EyeforTravel’s North America Summit took place in the wake of tragic events in Las Vegas but the travel industry came back with a roar to take on the big issues: Loyalty, technological disruption, changing distribution possibilities, customer experience, and partnerships. Download this completely free report now to see what key industry figures are saying about these topics and how they believe the industry will adapt. The report features advice and learning from brands including IHG, Caesars, Lola Tech, Allegiant Air, Marriott, Google, and Priceline. Get all the key discussions in one easy-to-digest report so you can keep on top of the ever-evolving world of travel and tourism, or if you are a member of EyeforTravel On Demand Premium you can view all the videos from the Summit here. This content is brought to you by EyeforTravel San Francisco 2018. Join 300+ senior travel experts talking about mobile, social media, data & partnerships, and the travel start-up scene.